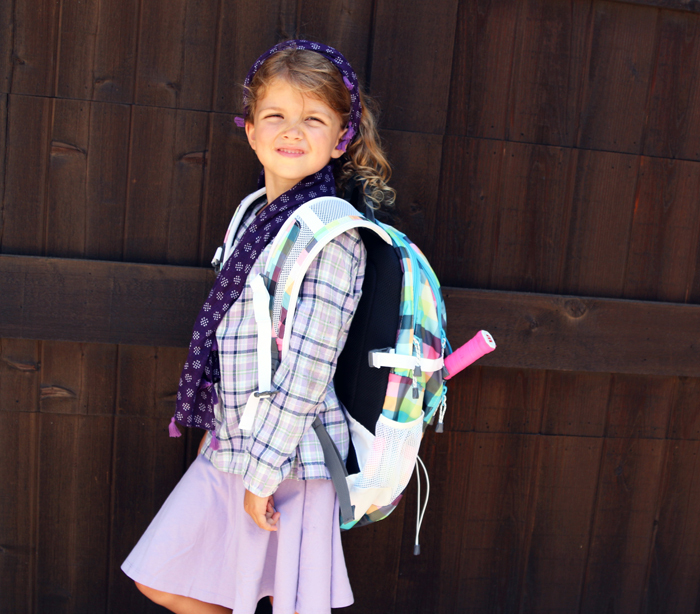 Lands’ End for Back to School a.k.a Where Did My Babies Go? Oh boy these kids are getting big. 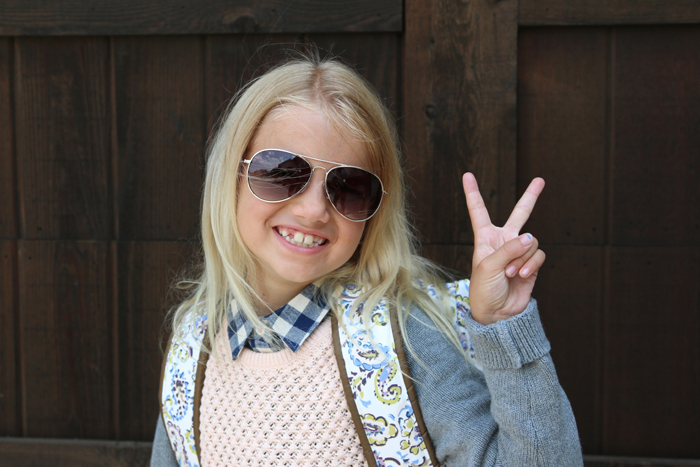 Last year I styled, and Clare, Quinn and Gordon modeled, some kid outfits for Lands’ End Back to School. We all had so much fun. 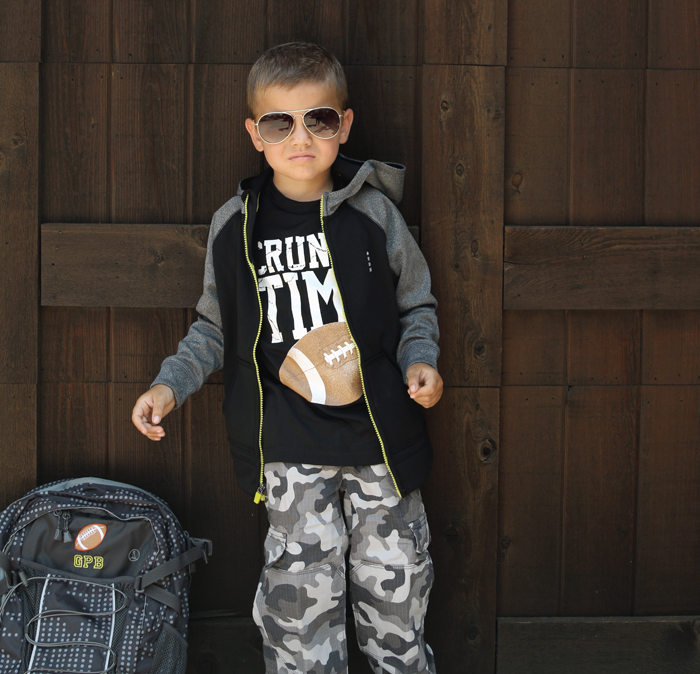 This year I decided to let each kid, yes even 4-year-old Gordon, pick every item for their back to school photo shoot. It is with a big sigh of relief that I share the results. In my opinion, they totally nailed this “first day of school” style thing. Now it’s time to master multiplication, and reading, and flushing. I digress. Let me show you all the fabulous, and adorable, and totally cool goodies they found. Clare has mad style. I want this entire outfit in momma size. 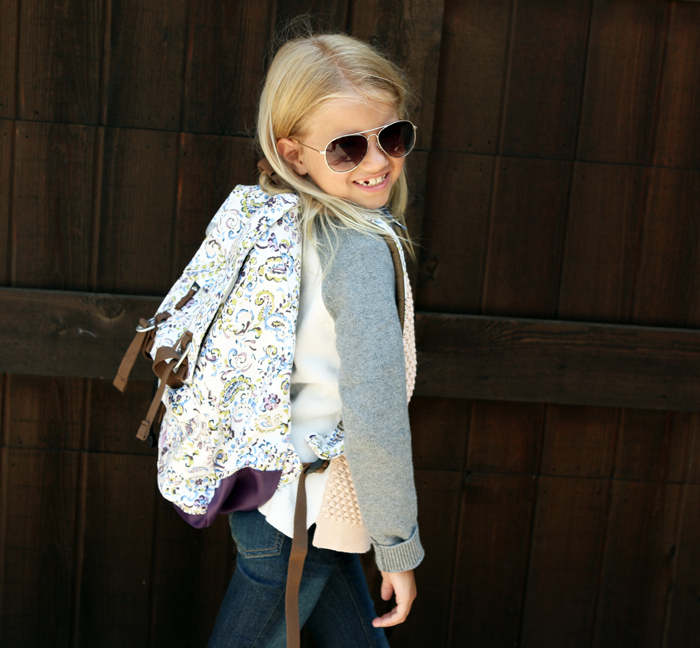 She started with the very grown up Campus Flap-Over Backpack. 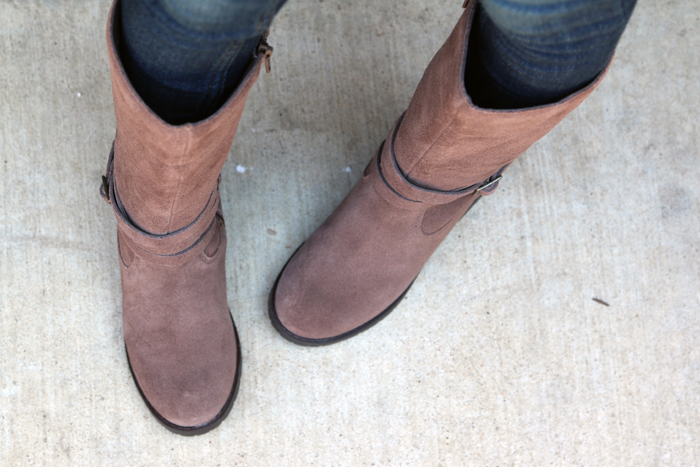 It looked adorable with the Molly Riding Boots in Coconut Shell. Then she added these IndiGo! Jeggings. Aren’t they awesome? They look just like jeans but she can still comfortably play and have fun like an 8 year old should. On top, Clare tried a totally preppy Flannel Shirt (which is on sale right now!) and a Color Block Drifter Sweater. 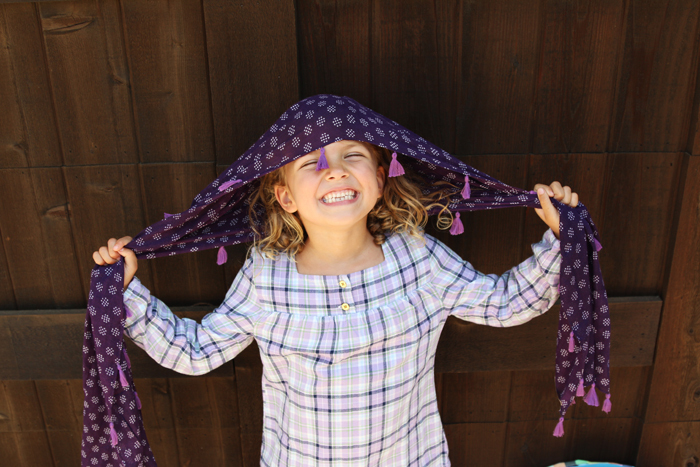 Next up we have sweet, silly, adorable Quinn who reminds mom that she still loves the girly stuff with her pretty pink and purple picks. Quinn started with these cute Perforated Ballet Flats. 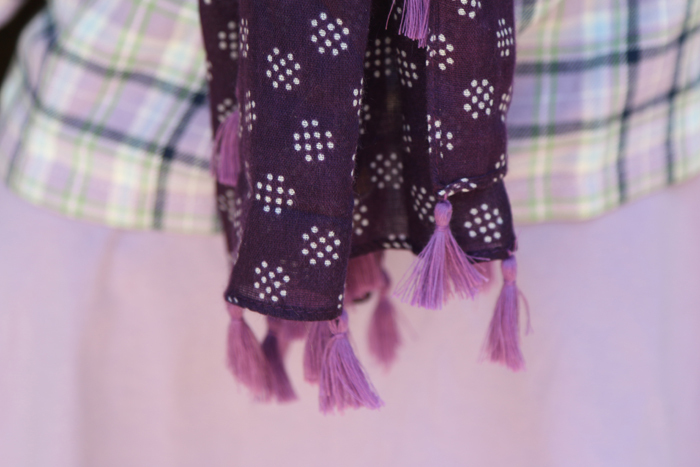 And found a Tassel Scarf to match. Need more purple in your life? Quinn does. 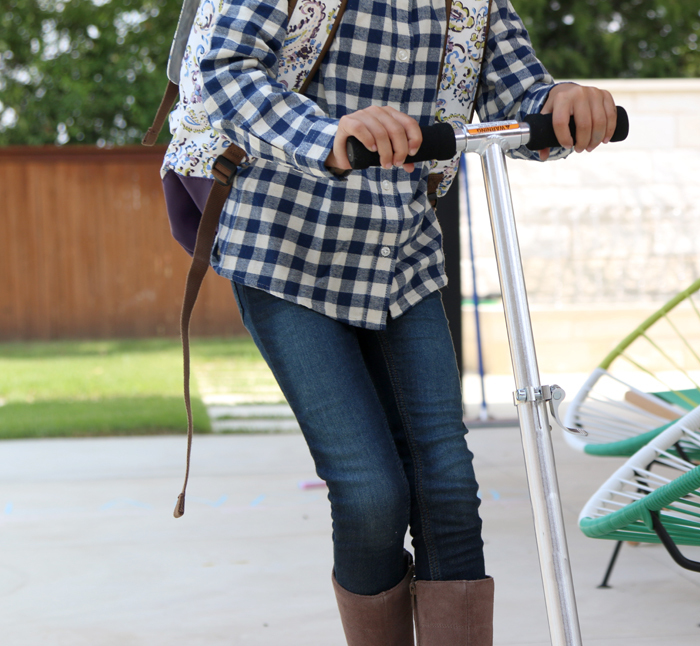 She complimented her accessories with a purple Yoke Flannel Shirt and Twirl Skort. Lands’ End’s skorts are awesome. They look great even after 50 washes. 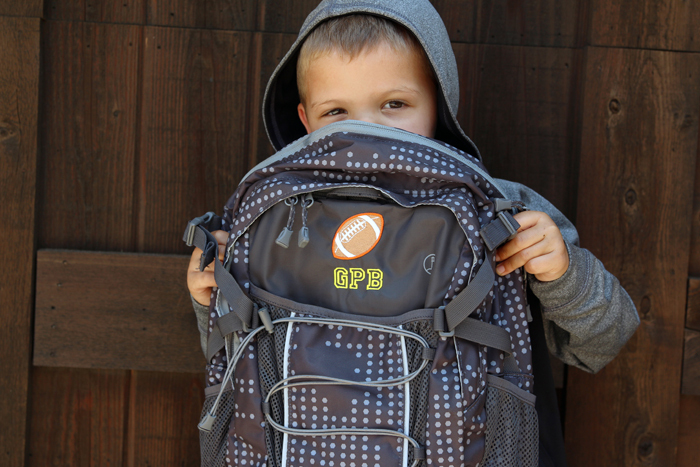 Quinn backpack has all the right pockets and straps to make life in 1st grade fantastic. She picked a sweet (yet tough) Featherlight Backpack (also on sale right now) which we had embroidered with the cutest pink fox and her initials. But it’s this guy who is breaking my heart. When did he turn into Taio Cruz? or Tom Cruz? Either way, he is looking so adorable in his totally Gordon-styled outfit. 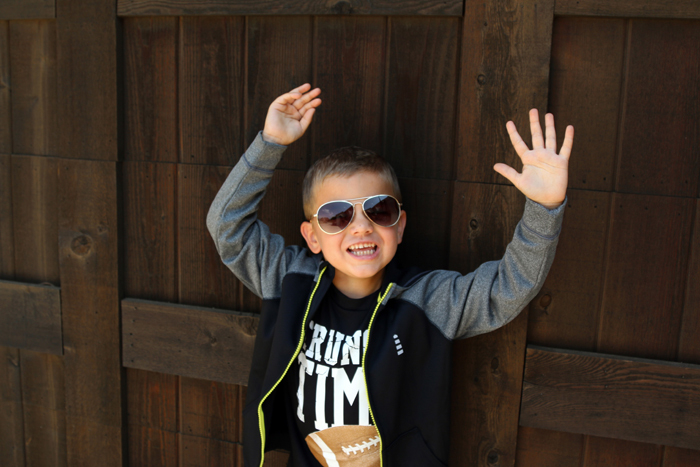 He spotted this active T first and fell in love because Dad loves football. Aww. 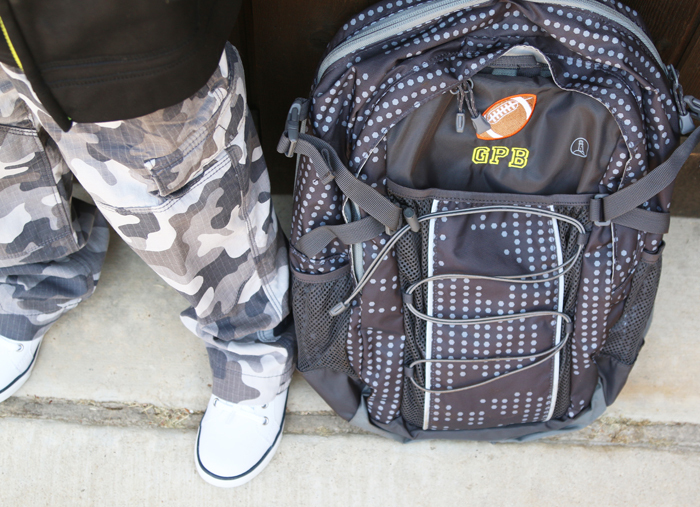 Then, because he is all about matching, he found a black featherlight backpack that he could embroider with another football. And then he found a black jacket, black pants and black shoes. Again, the matching is important. We got the Tricot Performance Hoodie. It’s the best quality I’ve seen in kids clothes in a long time. 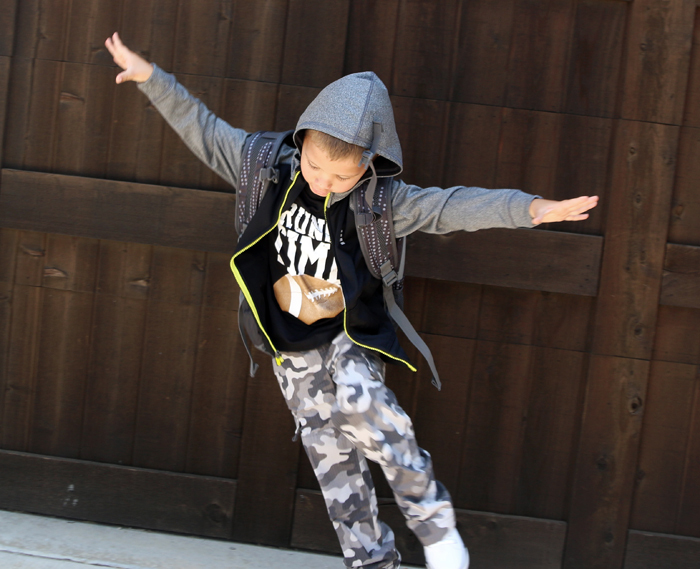 And then we had a lesson in “You don’t have to wear all one color” and he decided to branch out and add some shades of gray and white to his look (ha) with these Iron Knee Camo Pants and white sneakers which will be awesome for school. I hope your first day was (or is, if you are still on VACA) a good one! Only 179 more to go until Summer! I love that the Land’s End clothes are so trendy yet well made and durable. They are truly awesome. I shop here whenever I can.